Bulls vs. Bears: Who's Right About Snap's Future? Snapchat maker Snap (NYSE: SNAP), which lost nearly 60% of its value over the past 12 months, recently received two rare upgrades from analysts. Cowen analyst John Blackledge upgraded Snap from Underperform to Outperform with a $6 price target, claiming that an ad buyer survey showed improved spending trends under the company's auction-based system. Blackledge expects Snap's daily active users (DAUs) to rise 5% between 2019 and 2024, and for its advertising growth to boost its revenues and margins. Citi analyst Mark May upgraded Snap from Sell to Neutral and raised his price target from $6 to $7, noting that its average ad revenue per user accelerated in the third quarter. May also stated that a growing number of advertisers were "optimistic" about Snapchat's ads, and that a new version of the app for Android could stabilize its growth and improve its profitability. Snap's stock rallied on those upgrades, but quickly gave up those gains when CFO Tim Stone abruptly resigned, marking the company's second CFO exit in eight months. Stone is the 20th major executive or leader to leave Snap since its IPO less than two years ago, and it leaves the company with just two of its original executives -- CEO Evan Spiegel and CTO Bobby Murphy. This flurry of good and bad news makes it tough for investors to see if Snap can ever recover. Let's examine the bullish and bearish arguments to see if the rewards outweigh the risks. The bears argue that Facebook's (NASDAQ: FB) Instagram, which cloned most of Snapchat's trademark features, will render the platform obsolete. Instagram Stories surpassed 400 million DAUs last June, giving it more than double the daily audience of Snapchat. Snap's revenue rose 43% annually to $298 million during the third quarter, but that marked its slowest growth rate since its IPO. It expects that slowdown to continue with 24%-33% growth in the fourth quarter. Snap's net loss narrowed from $443 million to $325 million, and its adjusted EBITDA loss narrowed from $179 million to $138 million. Those improvements were encouraging, but it still reported a negative free cash flow of $159 million with just over $350 million in cash and equivalents. Meanwhile, Snap's turnaround strategies -- which include selling more Spectacles, introducing new AR lenses and apps, launching new original streaming videos, and testing out a new visual shopping partnership with Amazon -- seem unfocused. Its app redesign last year also alienated many of its core users. Snap's ongoing brain drain arguably makes it tough to fix all those issues. Lastly, Snap still trades at five times next year's sales. Facebook trades at six times next year's sales, but it's firmly profitable and has far more ways to expand than Snap. The bulls will note that although Snap's DAU growth is peaking, it remains the top social network among US teens. 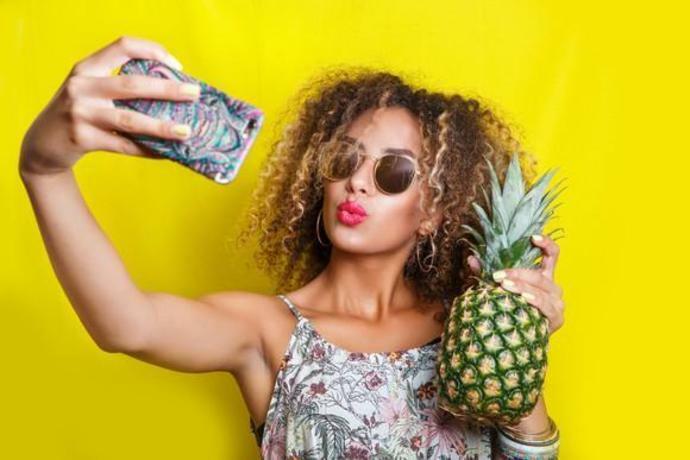 69% of all US teens use Snapchat according to Pew Research, and Piper Jaffray's "Taking Stock With Teens" survey for Fall 2018 found that Snapchat was still the favorite social networking platform for 46% of US teens. That stickiness indicates that Snap can still grow its average revenues per user (ARPU) to offset its peaking DAU growth. The sequential decline in the first quarter was caused by Snap's switch to programmatic ads, but its APRU has since steadily risen and outpaced its DAU growth. That's why analysts at Cowen and Citi are still optimistic about Snap's long-term growth. eMarketer also recently reported that the percentage of marketers using Snapchat rose from 25% in 2017 to 28.3% in 2018. A much higher percentage (69.2%) used Instagram in 2018, but Snapchat's year-over-year growth indicates that advertisers are still interested. Facebook's privacy debacles could also benefit Snap as marketers spread out their ads on smaller social networks like Snapchat and Twitter. If Snap can stabilize its DAU growth, keep growing its ARPU, and narrow its losses, it could eventually become a tempting takeover target for Amazon, which sees some potential in Snapchat's visual searches, or Alphabet's Google, which still hasn't cracked the social networking market. I don't think Snap will rebound anytime soon, but I also don't think it's headed to zero. There's still value in Snap's teen user base, and there's still room for its ecosystem to grow. If Snap can stop its brain drain issues and streamline its growth efforts, I think the bulls could be proven right over the long term. John Mackey, CEO of Whole Foods Market, an Amazon subsidiary, is a member of The Motley Fool's board of directors. Suzanne Frey, an executive at Alphabet, is a member of The Motley Fool's board of directors. Leo Sun owns shares of Amazon and Facebook. The Motley Fool owns shares of and recommends Alphabet (A shares), Alphabet (C shares), Amazon, Facebook, and Twitter. The Motley Fool has a disclosure policy.